Will Burtin was one of the pioneers of twentieth-century American graphic design, but he strode across a landscape very different from today’s. His is the period of mid-century Modernism: after the Second World War but before Vietnam and the 1960s changed US culture. Back then, people had more faith in the idea of progress and were less sceptical about capitalism and the corporations Burtin worked for. Atomic energy and drug development were causes of optimism: science was seen as having the potential to advance mankind rather than destroy it. This illustrated biography sets out to show how Burtin used design to explain scientific ideas. Like so many of the architects and designers who shaped America in the 1940s, Burtin was an émigré, born in Cologne in 1908. His growing reputation in Germany meant first Goebbels and then Hitler asked him to head the design team at the ministry of propaganda. He and his Jewish wife, Hilde, fled the Nazi government in 1938 and apparently never spoke German again. Running his own studio by 1949, Burtin worked for the design-aware parts of us industry: Parker Knoll, Herman Miller, Eastman Kodak, IBM, Union Carbide and the pharmaceutical company Upjohn. 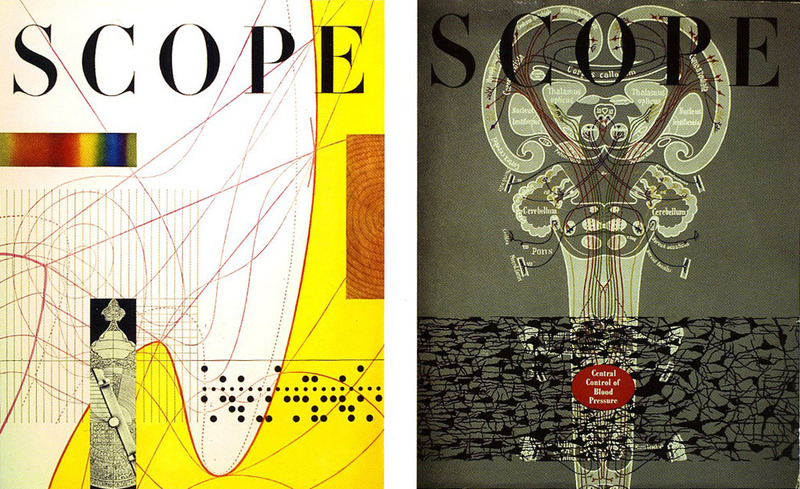 Burtin had a 30-year relationship with Upjohn, designing the first cover for its doctors’ magazine, Scope, when he arrived in New York and becoming its art director in 1948. In 1947 he had redesigned first Upjohn’s original mark, replacing it with a text-only logo, and then all the company’s drug packaging. Burtin was running a corporate identity programme before the phrase was invented. It was for Upjohn that Burtin created the huge travelling ‘exhibit sculptures’ that dominated the latter part of his career. The studio researched and created these massive 3D models (the first, Cell, was a million times life size) and built them out of new materials such as Plexiglas. In an electro-magnetic, pre-computer age these scientific visualisations spread the Upjohn brand to doctors at medical conventions and to the general public at world’s fairs. Remington and Fripp capture the personalities of Burtin and those around him, a close world of leading designers and their educated clients. The text is personal and anecdotal, but does not always give a picture of the wider context in which Burtin operated. Given Burtin’s own graphic sensibilities, the design of the book is conventionally classical: pictures on a page rather than any graphic narratives or changes of pace. Designers will hunger for more and bigger illustrations of the actual work. Ezra Stoller’s evocative images of the big exhibits tell part of the story, but the print work for Fortune and Scope isn’t shown large enough to appreciate the detail (although there may well be copyright issues). There is a history of contemporary information design, from print to online, waiting to be written: when it is, Will Burtin will figure as one of its founding fathers. 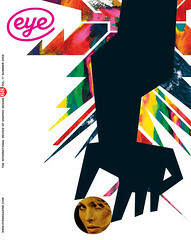 Top: Burtin’s cover for Scope magazine, Spring 1953.